Solomon was one of our regulars. We would draw up to his home and he would run to van and jump in – no lead required – he was always keen to have a holiday. Coming home was exactly the same – he would enthusiastically jump out of the van pleased to be back home. 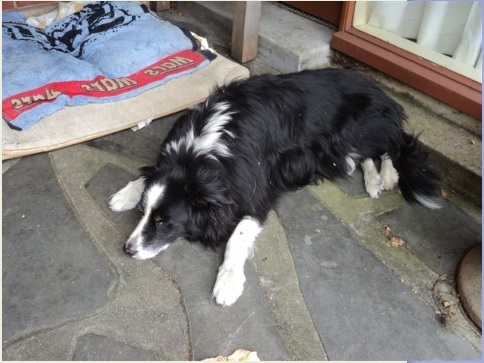 Intelligent like all border collies he was truly a joy – he would go with us on long walks through the vineyards – never on lead for he would always stay within a few metres. Then one day we got an email – Solomon would no longer be joining us – he fell ill and his owners had done the ultimate act of kindness and let him go. They say there is life after death – some of those same people say that this only counts for humans – I cant imagine a life without a dog so either there is no life after death or Solomon and all his mates will be waiting for us.